The ease and benefits of growing a wildflower garden should be considered if you want a natural looking garden that doest require the maintenance of a traditional garden. We may be in the throws of summer, but here are some great suggestions that you can start to implement now. This idea is particularly useful if you have poor soil. to start with you might want to experiment with just a wildflower patch. Some people allow their lawns to be turned into a meadow and they look spectacular, and the wildlife that is encouraged thrives. Give your spare space a good weed before sowing anything. Weeds will compete for light, space and food. Once you’ve removed everything, dig over the soil and firm it back down before raking it smooth. Scatter your seeds by hand. Rake in lightly and water thoroughly. If you’re particularly worried about birds eating them all, put some netting over the soil. Make sure the soil remains moist and warm while they’re germinating. The key thing is to make sure they don’t dry out. A single blisteringly hot weekend will stop them in their tracks. And watch out for weeds too. Deadhead the flowers as they grow to prolong flowering. Leave the plants to self-seed at the end of the growing season – they should come back up next year. Clear away the old plants in spring to let the new ones get light. Keep on top of weeds to stop them taking over. You may need to sow more seeds for the first few years, but after that they should come back every year with no extra work from you. This takes patience but it can be done. 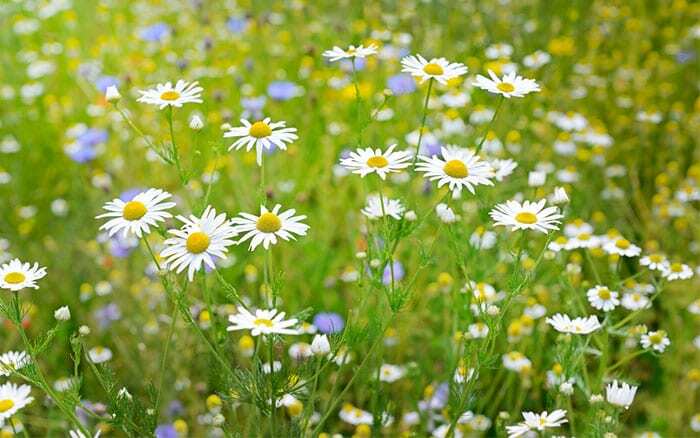 A meadow is much easier to maintain than a traditional grass lawn. Stop applying fertiliser and spend the first year mowing the grass every week to weaken it. Then sow wildflower seeds over the top of very short grass in autumn. It may take some time for seeds to establish in the grass, so you can always introduce stronger plug plants too. I’d also recommend using Yellow Rattle. It’s a striking-looking wildflower takes over grass plants and kills them off. If you want a more instant effect, try laying wildflower turf. It is a pre-sown roll of grass and wildflowers that can be laid on any bare soil. It’s not cheap, but it is effective. I often wondered why my lawn looked particularly dead looking by the end of the season and this article has just proved a point. Yes, I am guilty of over mowing. It is now in prime condition and I will be sowing my seeds in the autumn. I have to say that the main reason for my decision is to help the plight of our bees. 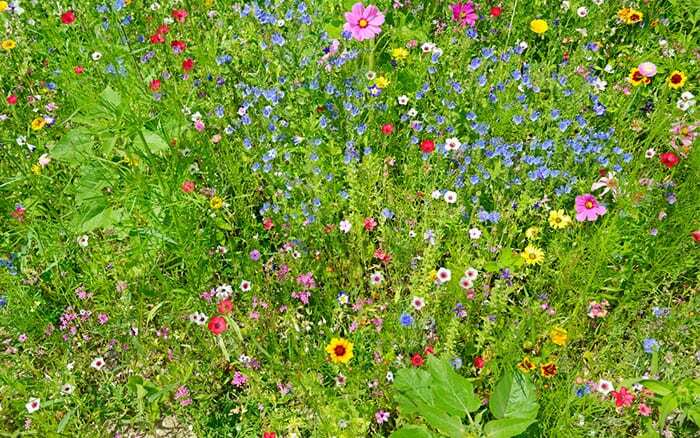 Take a look at the next page for some interesting tips on how you can create a wild flower garden to encourage the bees…and why!